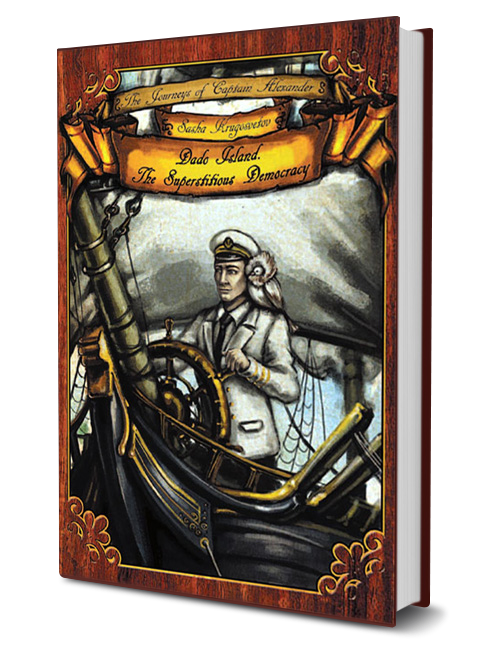 “The Whales and Humans” is one of the books of his Adventures of Captain Alexander children’s book series. 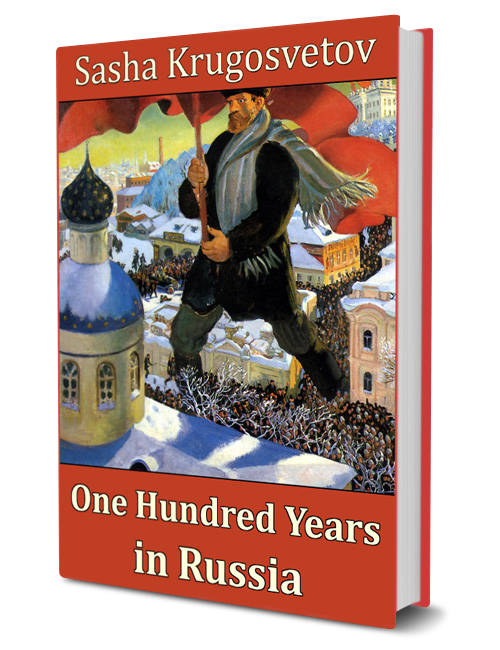 Unfortunately, this book isn’t translated into English yet, but in Russia it went through several printings already. 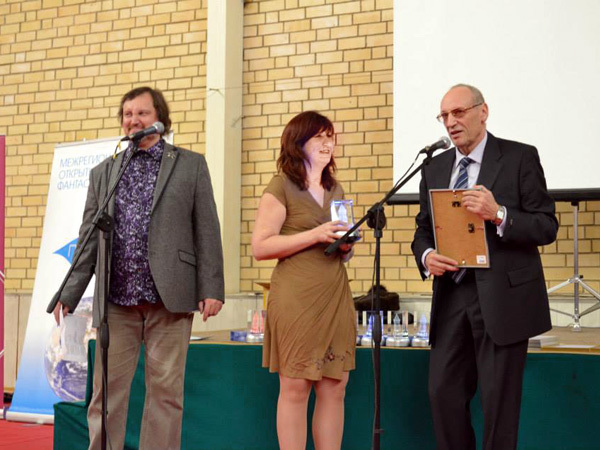 “RosCon” is one is one of the largest science fiction and fantasy conventions in Eastern Europe. 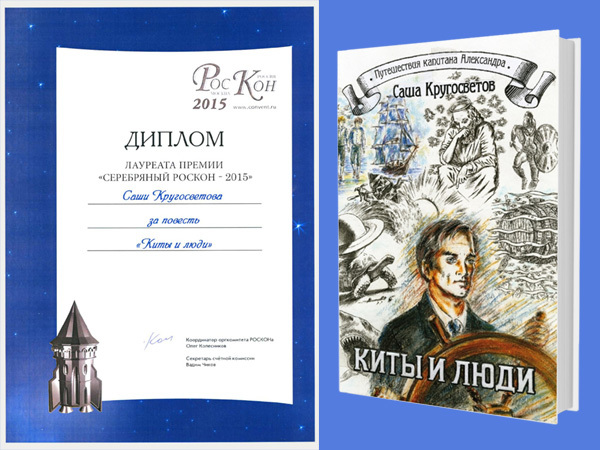 The Silver RosCon is one of the main awards of the convention – it’s the second most honorable award for published books after the Gold RosCon. 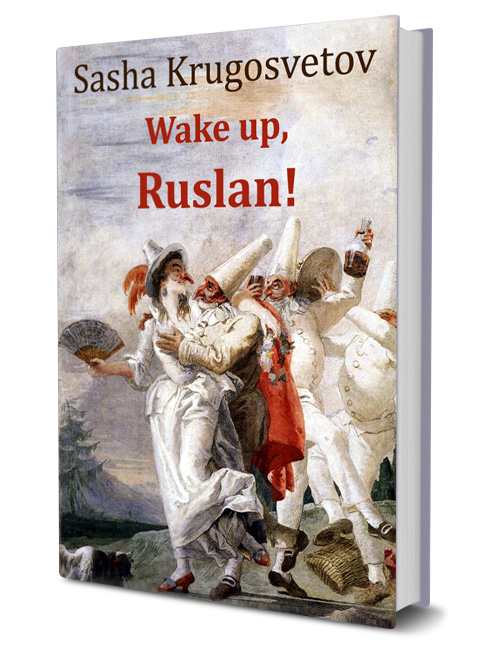 A year earlier Sasha Krugosvetov was awarded at the “RosCon” Convention with the Alisa Award for the best children’s book. This entry was posted in News on April 19, 2015.